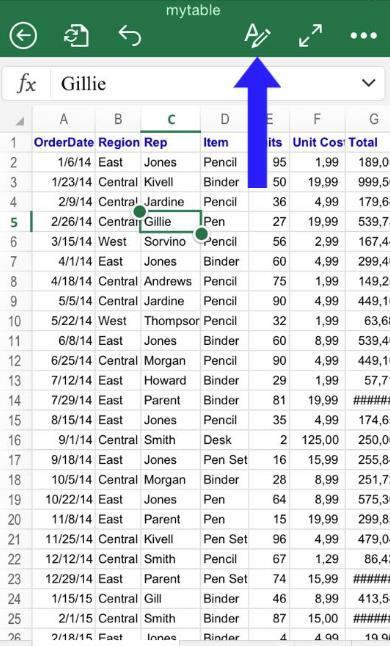 This tutorial will provide you with an overview of the “instruments panel” in Excel for iOS. 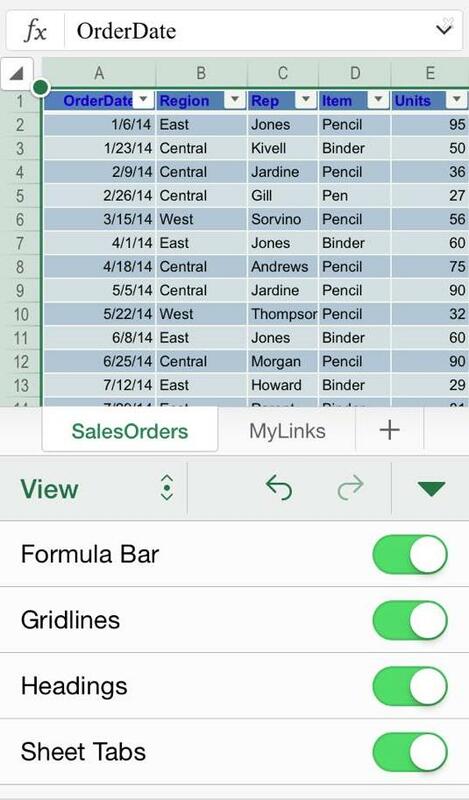 Excel for iOS has very powerful set of editing options available for you at the instruments toolbar. 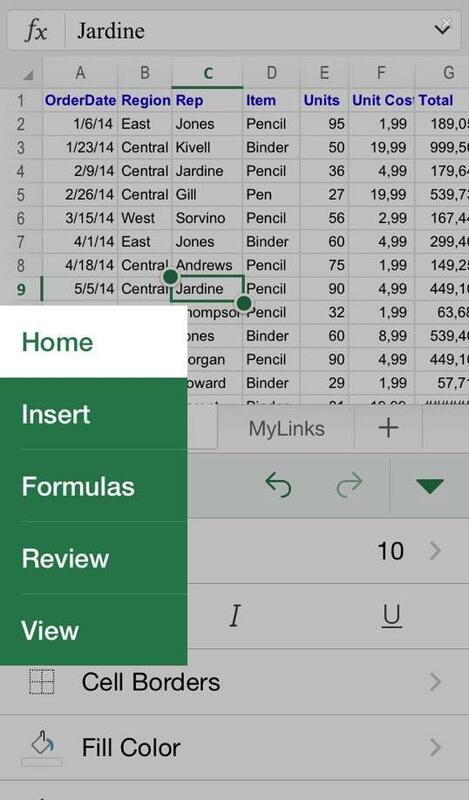 To open it, if you’re running Excel for iOS in an Iphone, click the ribbon button on top of the screen. If you’re using an Ipad, you will find the instruments panel available at all times at the same location. 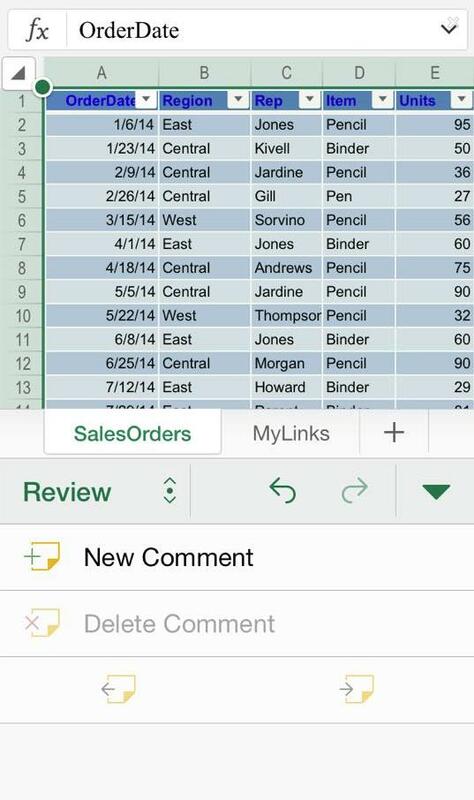 The available options are “Home”, “Insert”, “Formulas”, “Review” and “View”. In “Home” you will have access to popular tools such as font types, font size, cell borders, font color, cell styles and number formatting. And finally, “View” allows you to change visualization options, such as make visible or not the Formula Bar, Gridlines, etc. Also, you can freeze panes, the top row and the first column here.